Shipping now from our US warehouse. Out of stock in our EU and NZ warehouses. 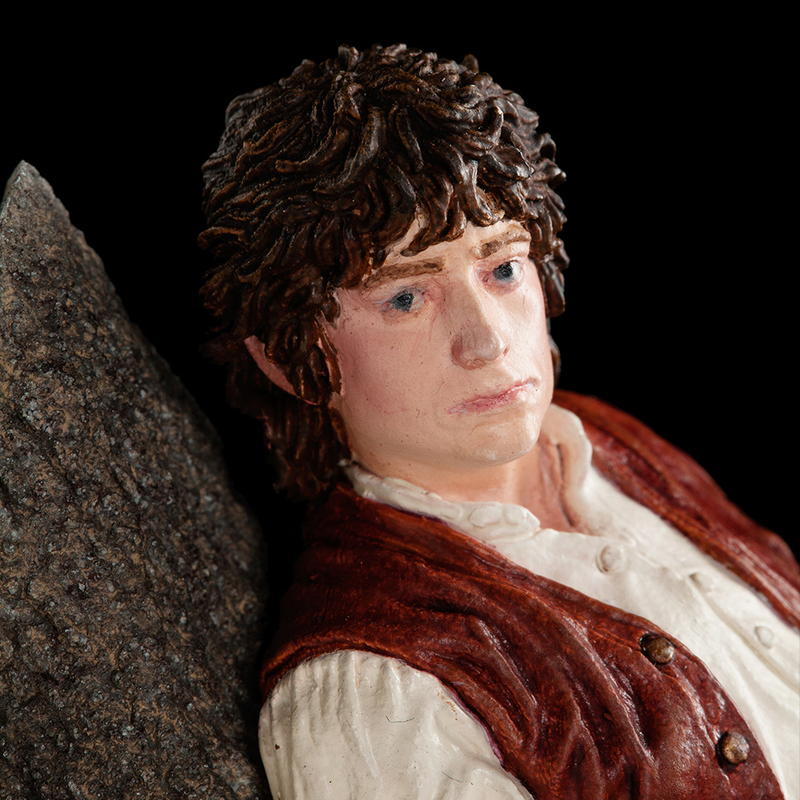 A heavy burden hangs about the neck of young hobbit Frodo Baggins, for Frodo is the bearer of the One Ring, greatest of the Rings of Power created by the Dark Lord Sauron. 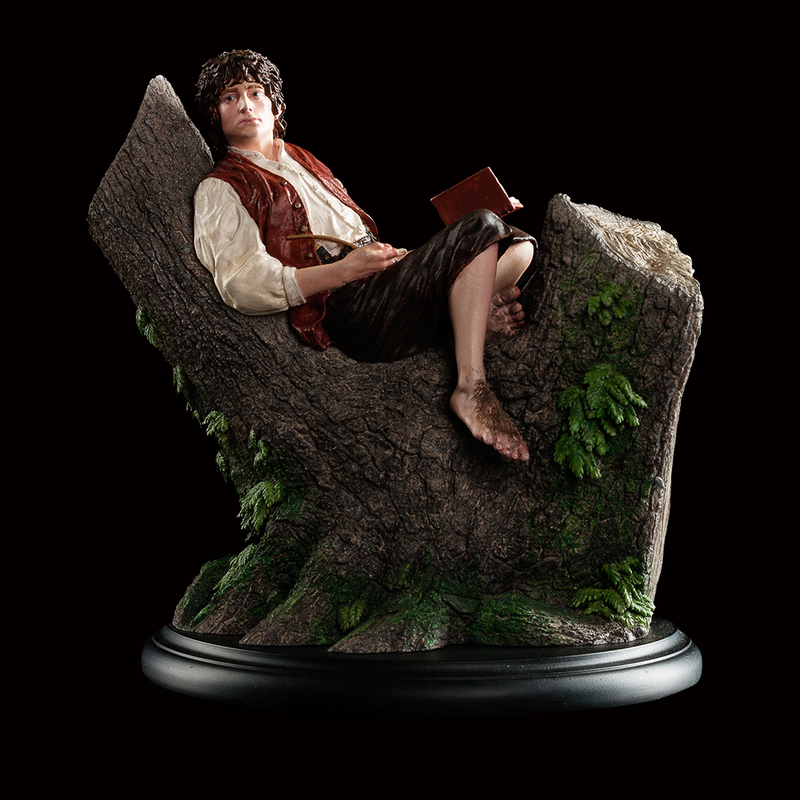 Relentlessly seeking the Ring for their master, the servants of Sauron have tracked the name Baggins all the way to the quiet hills of Frodo’s home in the Shire, where now they hunt him. 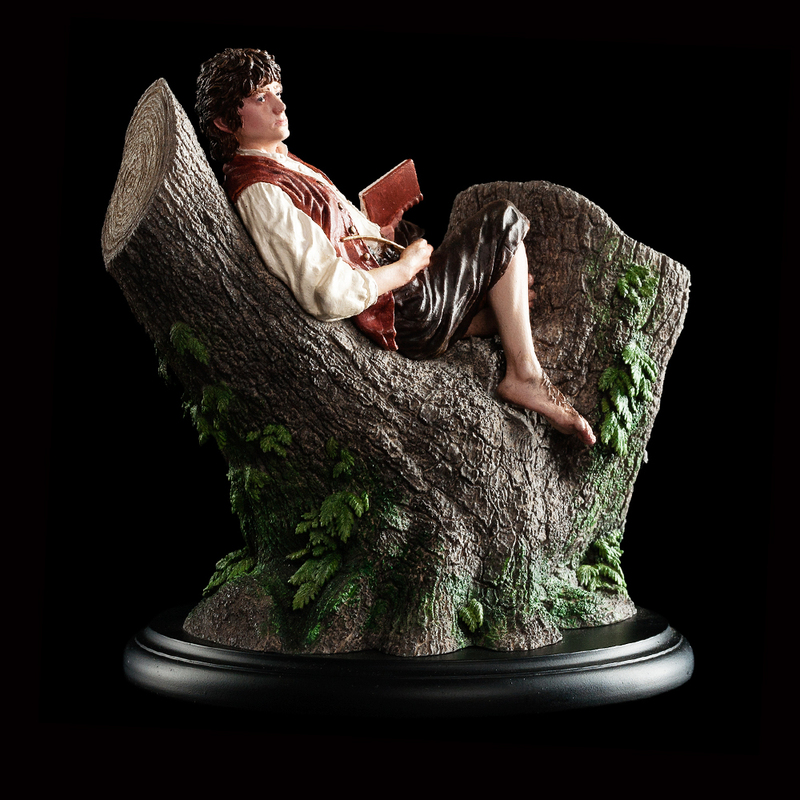 Travelling with Samwise Gamgee, and calling himself Underhill, Frodo has made his way across country to the borders of the Shire, bound for the Elf haven of Rivendell and the wise council of its lord, Elrond. 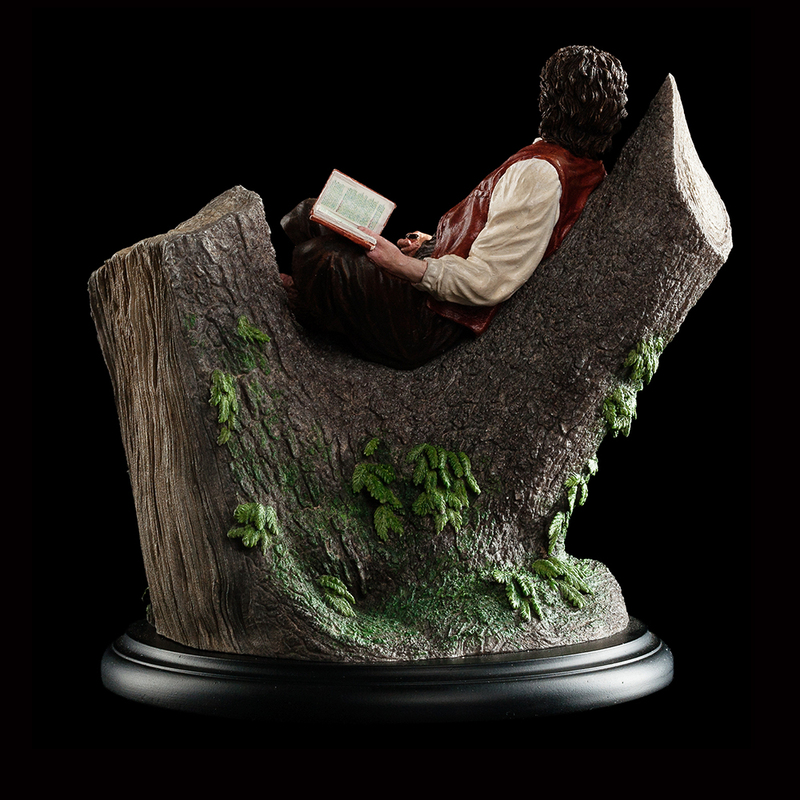 As the Hobbit rests his weary feet a strange song drifts through the forest, a soft, sad sound that heralds the passing of a company of Wood Elves, threading luminously through the forest as the make their way west, to the shores of Middle-earth and beyond. 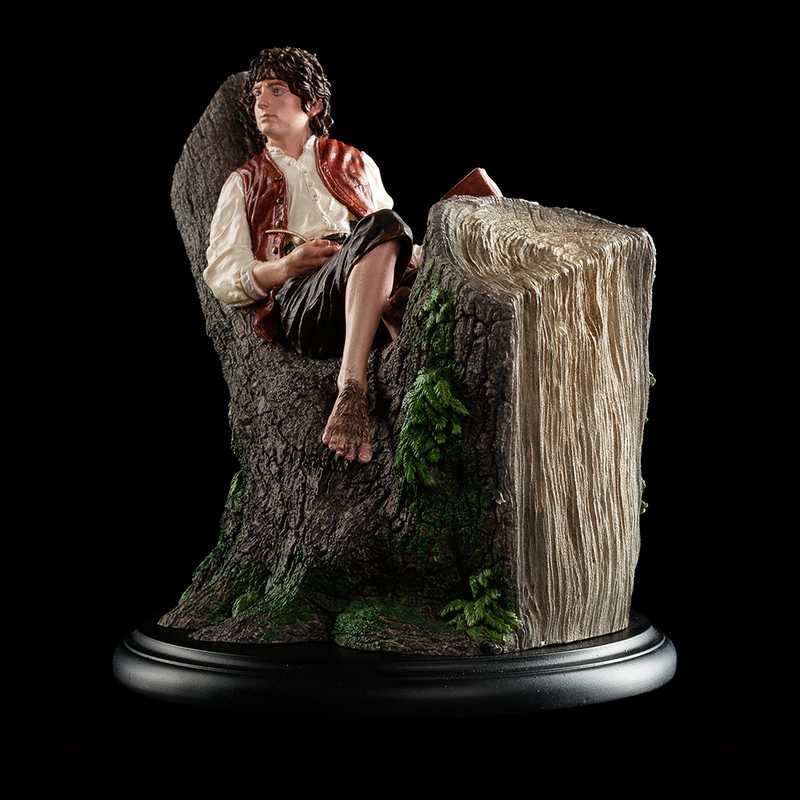 Awarded Best Small Statue by StatueForum in 2016, Frodo Baggins is an essential addition to your Weta Workshop miniatures collection. The statue is an Open Edition piece.